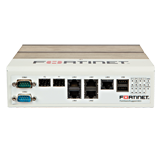 While traditional security solutions are designed and intended for the world of offices and corporations, the FortiGate Rugged Series offers industrially-hardened, all-in-one security appliance that delivers specialized threat protection for securing critical industrial and control networks against malicious attacks. Fortinet’s FortiOS operating system running on the ruggedized platform provides specialized protections for industrial networks such as antivirus and Intrusion Protection (IPS). Designed for confined spaces and harsh environments, the ruggedized FortiGate can be mounted within an enclosure, on a wall or on a DIN rail. 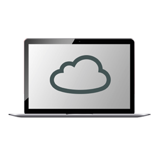 It is small and lightweight yet highly reliable with superior Mean Time Between Failure (MTBF), minimizing the chance of a network disruption. The hardware components used meet high standards in both EMI and vibration tolerance with a wide thermal operating range supported.